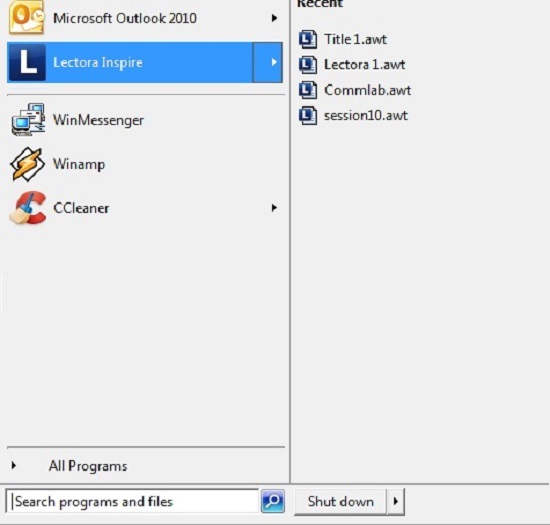 How to Convert PowerPoint Presentation into an E-learning Course Using Lectora? 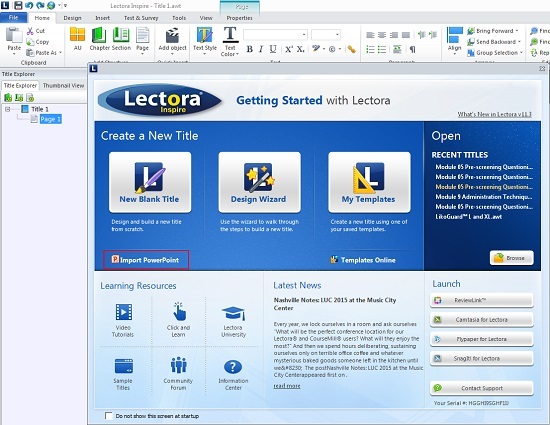 Lectora is a very powerful rapid authoring tool used to develop HTML- based eLearning courses. 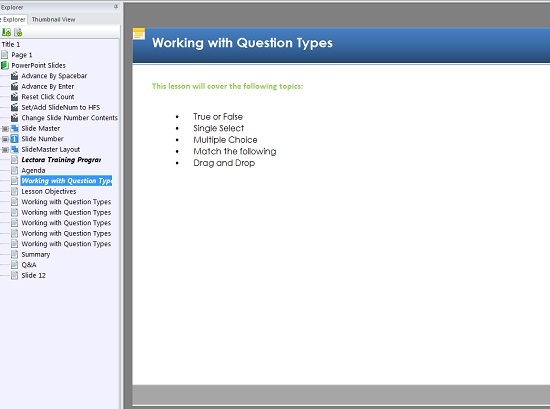 This tool is ideal for converting PowerPoint presentations into eLearning courses, quickly and effectively. 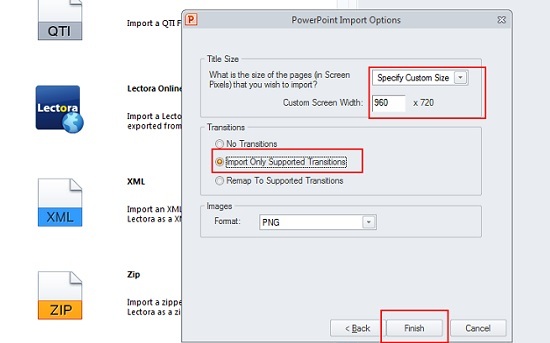 Let see now the procedure to convert PowerPoint presentations into eLearning courses using Lectora, step-by-step. Before converting your PowerPoint presentation into an eLearning course, complete the design of the presentation and import it into Lectora. 2. 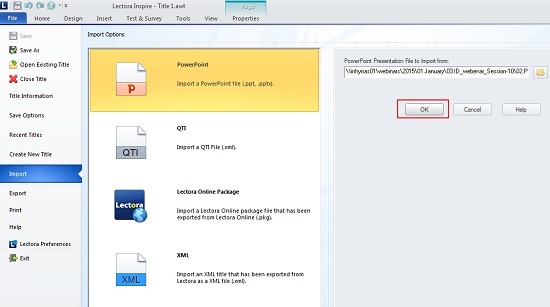 Select Import PowerPoint to browse the path of the presentation. 5. Enter the project size (Width/ Height) and select Import Only Supported Transitions under Transitions. 6. 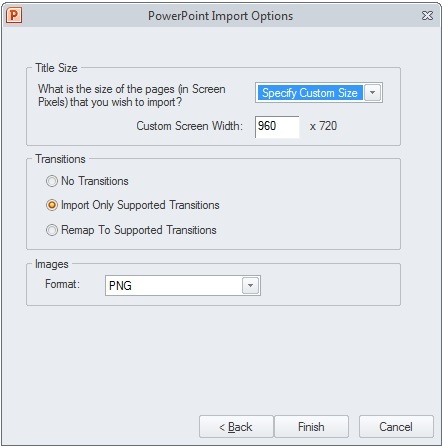 Select all and click Next to import the PowerPoint presentation. 7. Confirm your project size and click Finish. 8. Now, you have imported the PowerPoint presentation into Lectora. 9. We do not have any in-built templates for interactions in Lectora. By using basic programming skills, we can create interactions. 10. 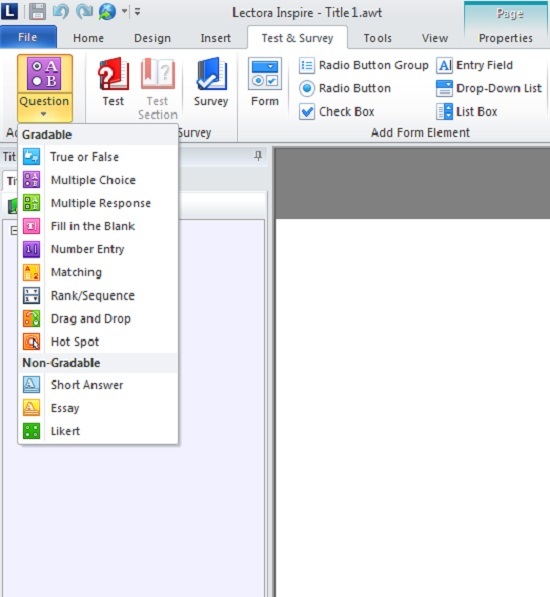 To add the quiz, select Test & Survey from the menu and select the desired question type. 11. Now, add the Question text and Options text. 12. There is a default CORRECT and INCORRECT feedback text. You can modify this text or insert new text. 13. 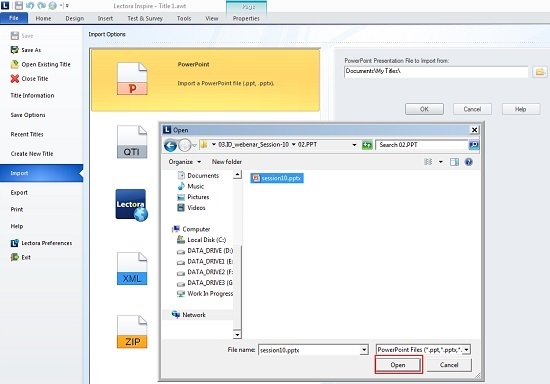 You can publish the eLearning to Web, HTML5, Executable File (exe), CD-ROM, Course Mill, AICC, SCORM and Tin Can API. 14. 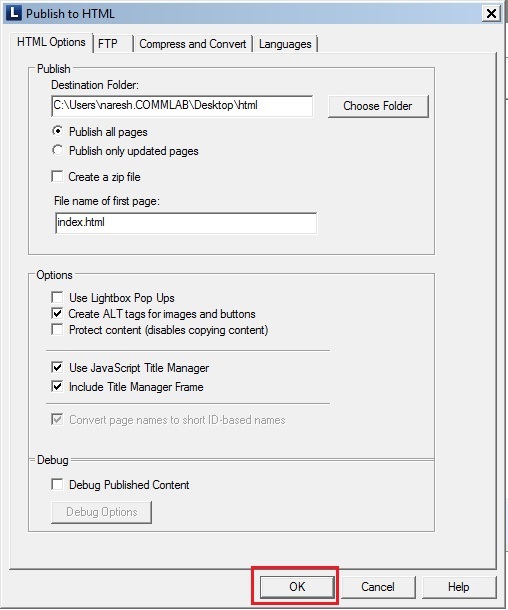 Select Home from the menu and select the Publish. 15. 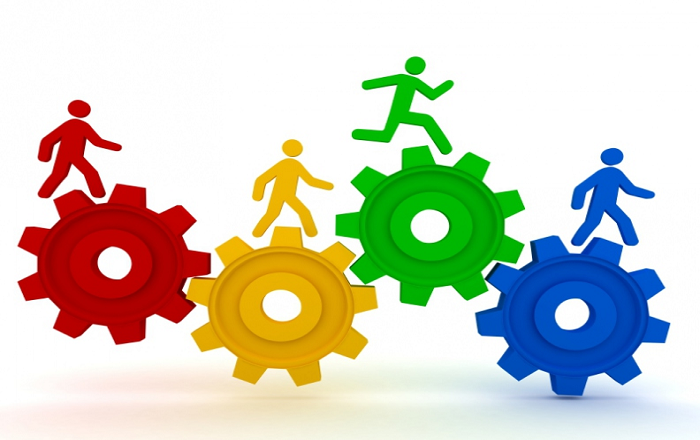 Select the desired publish option for your eLearning course. 16. Here, I have selected the Web (HTML) option. 17. Now, click OK to publish your course to the web. 18. If you are publishing the eLearning course to SCORM/ AICC and any other platform, then configure the LMS settings as per technical requirements, such as passing score of the quiz and the completion status. That’s it! 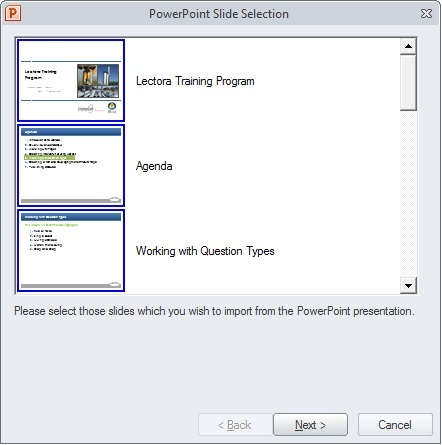 Your PowerPoint presentation is converted into an eLearning course. Apart from this, you can record demos using Camtasia Studio (an application built into Lectora) and add them to the eLearning course. You can also add Flash objects and record your own narration. 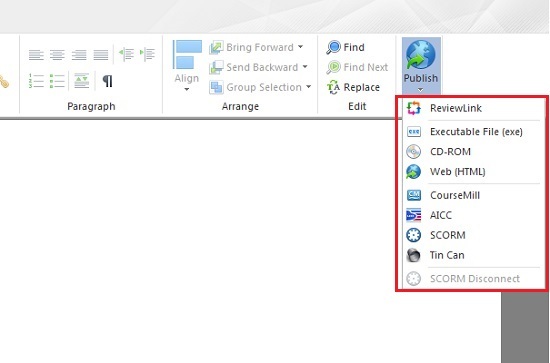 Lectora has other in-built applications such as SnagIt and Flypaper to help you create top-notch engaging eLearning. Hope you find this blog useful. Do share your views.